Before setting up his own business in Australia, Terry Prince used to work for Fritz Egli in Switzerland where he was manufacturing the famous Egli frames. 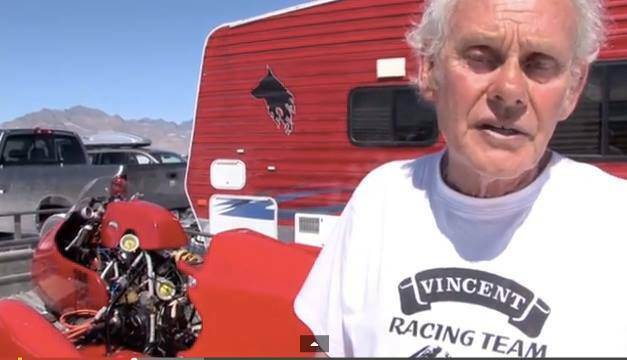 For many years, TPV will focus on the assembly of motorcycles using his own design and pre-owned modified Vincent engines along with a successful motorcycle parts and restoration business focused on the Vincent brand. 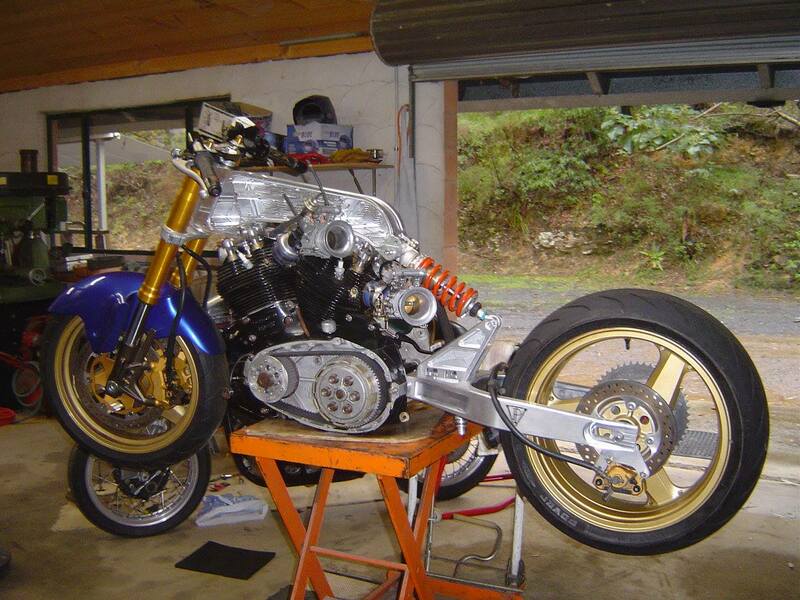 In 1996, Terry met Ron Slender and they formed RTV with the purpose to build modern Vincent from scratch including the engines with casing. 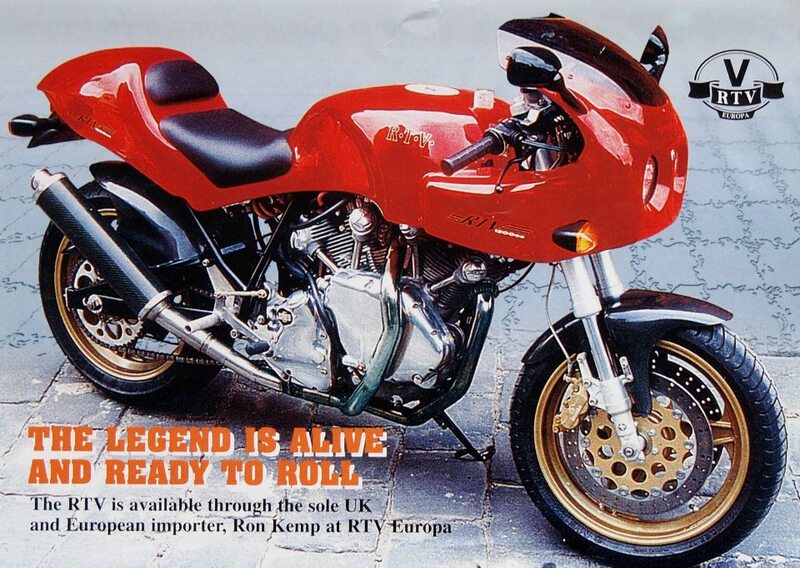 Two models were developed, a classic 1000 and stroked 1200cc. 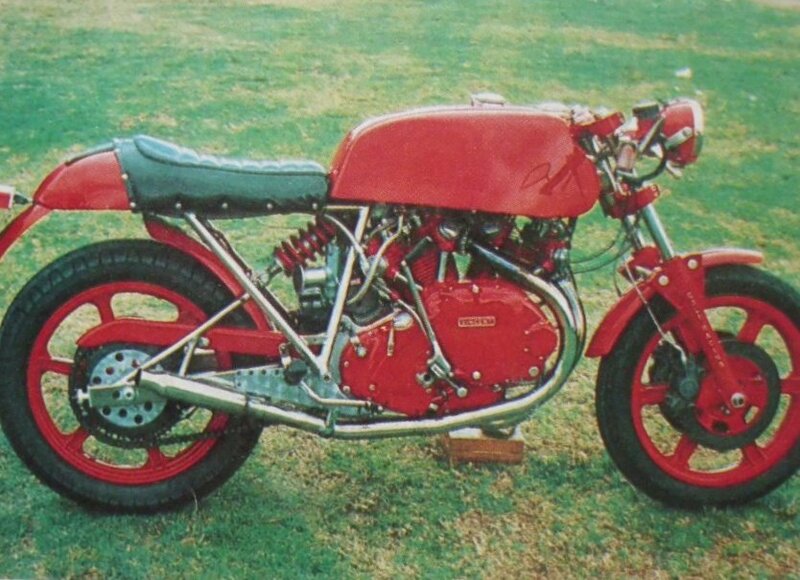 Only 4 bikes were built along with 8 incomplete chassis that were sold subsequently. Today Terry’s focus now is purely the manufacturing frame for Vincent beside performance parts supply and service for Vincent. 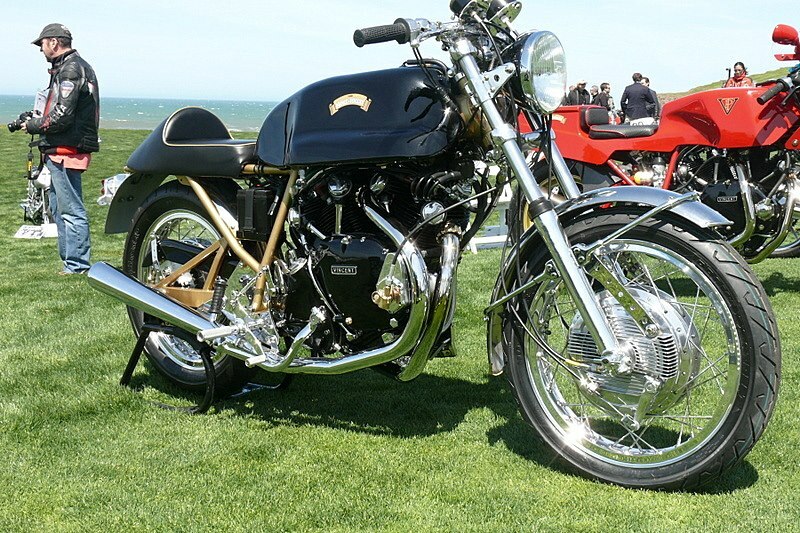 In 2015 TPV came with a new concept close to the original Vincent frame with separate UFM (oil tank) and RFM (cantilever) both made of milled billet. This is the second bike that Terry Prince. Made in 1983 with the mono shock frame. Terry used Egli forks as he was the agent for Egli products. The owner wanted everything Red. It was sold a couple of times and is not rebuilt with a ultra-modern carbon fiber outfit. RTV Brochure from 1998. 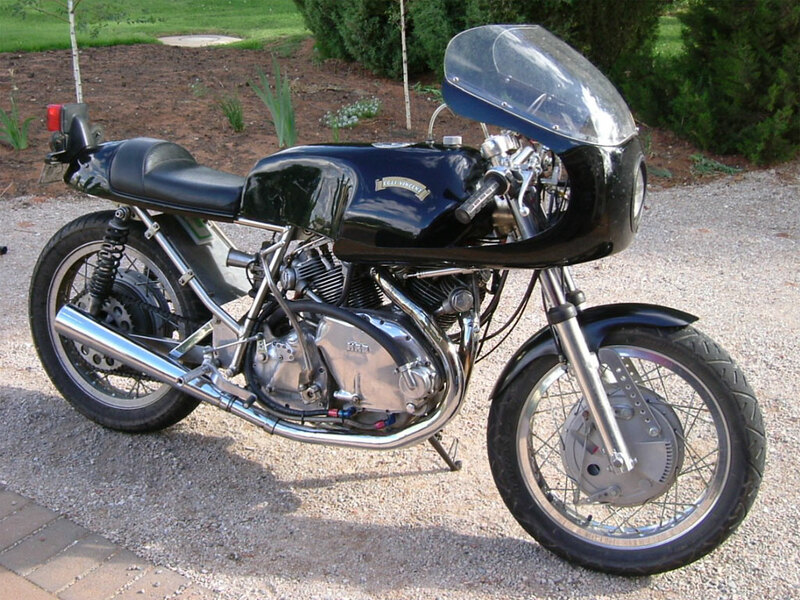 The RTV intended to be the modern Vincent but only 4 were made. 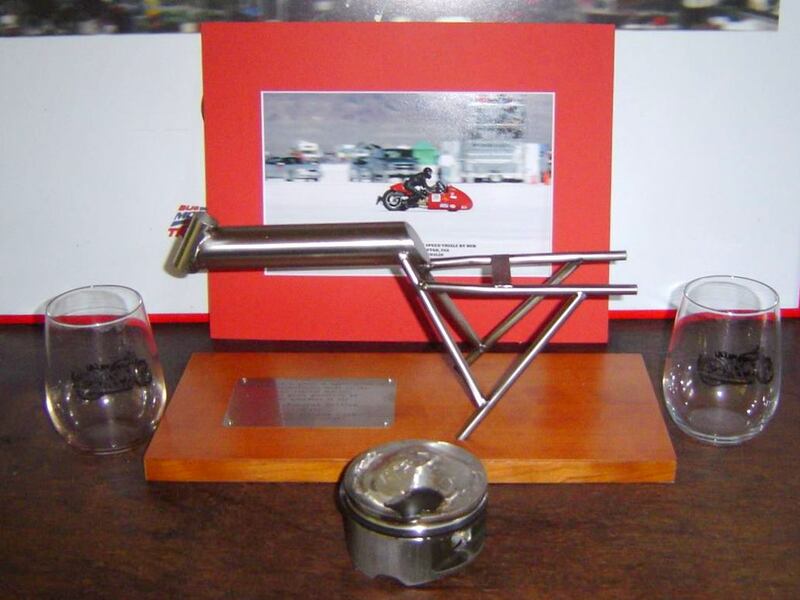 Terry Prince shared this picture of a scale model frame made by David Dunfey and presented to him at the north U.S rally some year ago in recognition of Terry’s outstanding contribution and efforts to fulfill the vision of Fritz Egli. Fritz Egli also received one and so was Patrick Godet. The piston in front of it is from Terry’s record bike when it broke a valve the same year! Would you like some pics of our Special for your repetoire? You have no idea how i’m feeling right now. Just like the bloke who just saw the most beautiful woman he had ever seen while realizing he would never have her. A strange combination of passion, disappointment, joy and sorrow. Love your work.